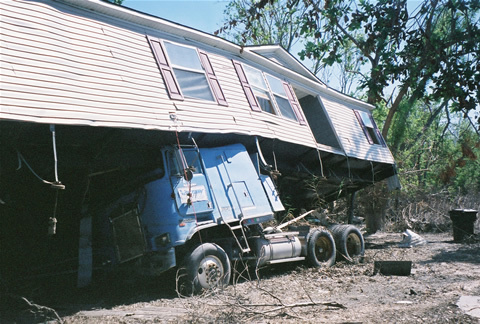 After Hurricane Katrina came ashore, President Bush promised relief for those in the Gulf region affected by the storm. But the relief he has been most generous in delivering has been to contractors. That at least is the view of a growing number of government watchdogs and congressional critics, who say a series of exemptions to competitive bidding and other procurement requirements adopted by the Federal Emergency Management Agency (FEMA) and the Army Corps of Engineers has effectively turned the Gulf region reconstruction and cleanup contracts into a feeding frenzy for “disaster profiteers” — a network of crony contractors for whom the $200 billion cleanup and reconstruction promises to be a significant windfall.